Umar is one of our multi-lingual instructors. 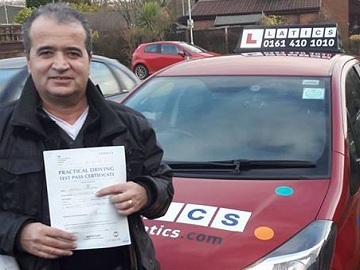 He speaks Mirpuri, Urdu and Punjabi which can make learning to drive easier if English isn’t your first language. Umar is very calm, easy going and has a cracking sense of humour! 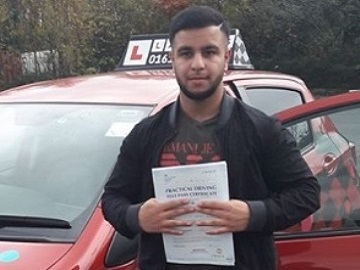 You’ll enjoy your lessons right up to your driving test with Umar! Three words to describe me: Kind, helpful, funny! Favourite food: Chicken tikka on naan! 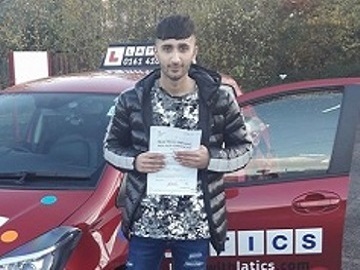 Umar gives driving lessons in Chadderton, Clarksfield, Derker, Failsworth, Fitton Hill, Glodwick, Greenacres, Hollins, Hollinwood, Lees, Moorside, Newhey, Newton Heath, Oldham, Saddleworth, Salem, Scouthead, Sholver, Springhead, Uppermill, Waterhead and Watersheddings. Brill 1st time pass Tom! Brill 1st time pass Carl! Fantastic 1st time pass Michael! Brilliant 1st time pass Jayden! 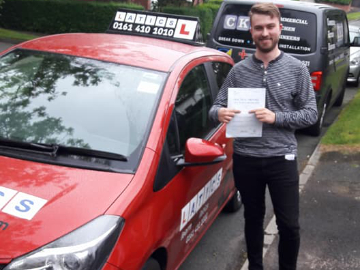 Fantastic 1st time pass Jack! Fantastic 1st time pass Sidra! Great result only 3 faults!